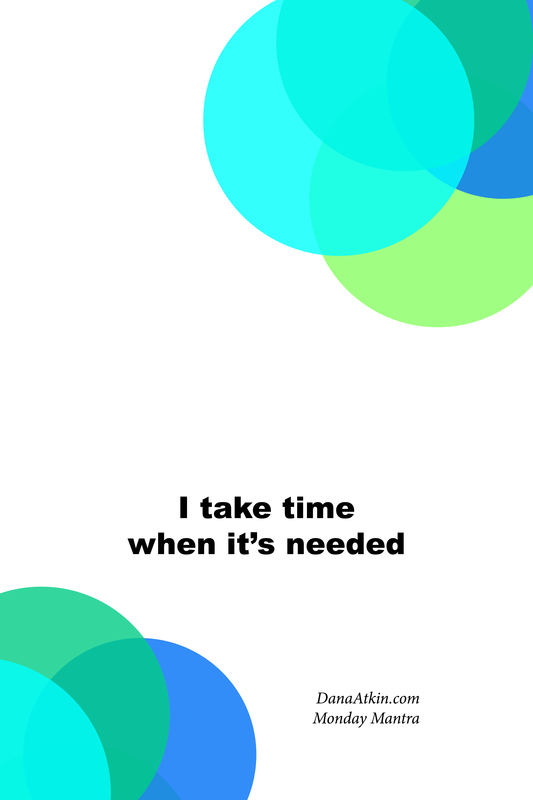 I used this Mantra in two different ways this weekend – It’s perfectly okay to take time when it is needed. There was an incident in which I and a colleague needed to take time to care for someone who was quite unwell. This person was so unwell in fact, we almost called them an ambulance. The lesson was not only about taking time with the simple things, like ensuring someone is okay, sitting with them until their loved one arrives, even if it’s in silence, offering company in the midst of a scary situation for them but also in the not so calm times when a space needs to be ‘held’ for someone who needs to get their stuff off their chest or to feel safe to let tears come if they need to. 2. Walking the walk – showing others that it’s actually okay to say “I really need some time for me and my body, to relax this afternoon” It’s all well and good to tell the people around you to take time out and relax but we need to avoid burn-out ourselves by taking our own advice and looking after ourselves. In looking after ourselves, we are in a much better position to look after others. Where in your life could you take a little time when it’s needed this week? Perhaps in the morning, to cuddle up with the cat while you enjoy your morning coffee, perhaps leaving work a little early to play the kids before they go bed, maybe juts actually taking your lunch break, your full allocated lunch break?